As we transition into a new season, dusting off the winter months of hibernation, we naturally turn to a time of change and growth. This time of year for us is all about the ‘360 Spring Clean’, mind, body and soul! The Motherheart Reset Healing Session (£80) is a clearing and restorative 50mins session with certified healing practitioner, Joanne Bradford, that helps you release your emotional blockages. This session starts with a brief check-in and then the release of trapped emotions using EFT (Emotional Freedom Technique), or sound therapy work for rebalancing. “The answers to life, the universe and everything are on the inside, all you’ve got to do is listen in to activate them” – Kate Taylor. 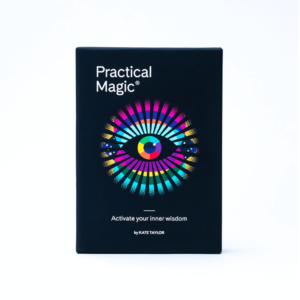 The Practical Magic Activation Deck (£45) is your personal life coach in a box, helping you to bust procrastination and create new strategies. This deck of 56 vibrantly illustrated cards comes with a guide book full of exercises, visualisations, meditation downloads, videos and playlists. Pull a card and follow the guided exercises to activate your next step. Are you a YES person? Most of us have a track record of saying yes when we mean NO. But far from being the easy route, that casual yes can cost you dearly. 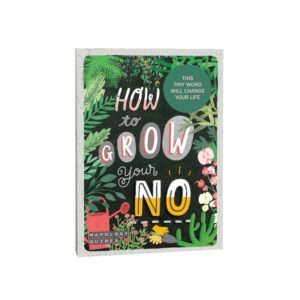 The How To Grow Your No (£5) coaching guide will help you figure out how, when, where and with whom to use your carefully chosen NO. Mapology Guides are illustrated problem solving maps for life’s journey. Using mapping techniques, they inspire you to travel from a dilemma or question to a helpful resolution. The Exhale Course (£69) is a beginners’ guide to meditation for overthinkers. It is a four-week online self-study course with a monthly coaching video call with certified coach and teacher, Gabrielle Treanor. Whether you have never tried meditation before, or you’ve struggled to meditate regularly, this online course will give you step by step guidance and the tools you need to begin meditating. You will create a sustainable meditation practice that works in your life and soothes your whirring, overthinking mind. 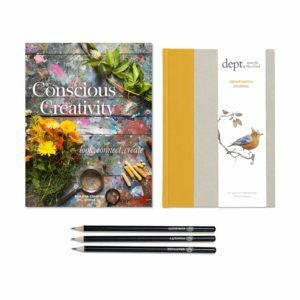 The Conscious Creativity Bundle (£25) will feed the creative being inside, and gently show how to observe the world through all the senses. It includes the Conscious Creativity book, crammed full of inspiration and simple daily activities designed to reawaken and nurture creativity. The Observation Journal, a hard backed, cloth bound sketching journal. Use this journal for wherever your creativity takes you, perfect for soothing the mind and sharpening the senses! And three pencils to encourage the journey. They read; Curiosity ‘Look under the covers’, Appreciation of Beauty ‘What moves you raises you’ and Zest ‘Live, laugh, dance, sing’. “A mantra is a powerful phrase, designed to make a positive impact on the way that you feel. It can bring motivation, strengthen resolve and give focus. Most powerfully, a mantra brings self-belief” – Jo Stroud. 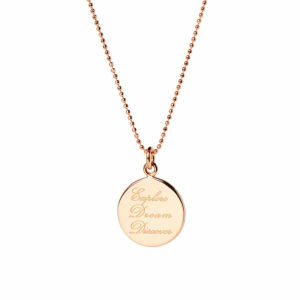 Mantra Jewellery (from £45) creates a timeless and very personal way of being inspired by your mantra. Designed to have a positive effect on how we feel, repeating a mantra uplifts us; it reassures and motivates us. Hold your necklace from time to time throughout the day and repeat its mantra when you need motivation or inspiration. 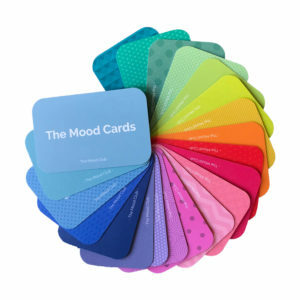 The Mood Cards (£12.50) are 20 beautiful prompt cards with activities that encourage self-growth, self-care and emotional awareness. They inspire you to focus on small practical activities to boost your mood, fulfil your potential and improve your wellbeing. You can use them as part of your every day, or whenever you need a mental boost. 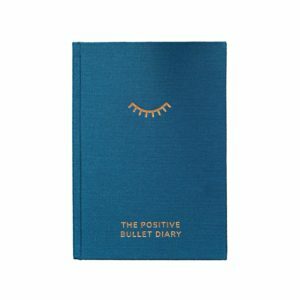 The Positive Bullet Diary (£24) is a revolutionary pairing of a traditional 12 month undated diary and creative bullet journal. An inspirational space to encourage productivity, positivity and creativity. You can organise your day-to-day life, document your appointments and arrange your to-do lists alongside emotional wellbeing reflections, such as tracking your mood to help you make time for personal development and self-care. The Goddess Acumen Discovery Session (£59) is like a spa day for your mind! Perfect if you are looking to kick-start change and to start listening to the strongest and most authentic part of yourself (instead of feeling lost and disconnected). This coaching and alternative therapy course with Dr. Helen Johnson will help you to take stock, pause, and reconnect, gain a fresh perspective and clarity, and clear the negative energy that is dragging you down. “We all have our monsters of the mind, and left to their own devices, those destructive parts of the personality can keep us down. But it doesn’t have to be that way. In fact, those very same parts of our personality could hold the key to a more exciting, successful and connected life. We just have to make friends with them first” – Hazel Gale. Win freedom from self-sabotage! The FIGHT book (£15) is a one-to-one therapy session with author Hazel Gale, that will show you how to address the psychological blocks that hold you back, equip you with the tools to manage negative emotions, overcome them and emerge victorious. Learn how to battle those inner monsters and let go of limitations to reach your true potential and live a happier, more fulfilling life. 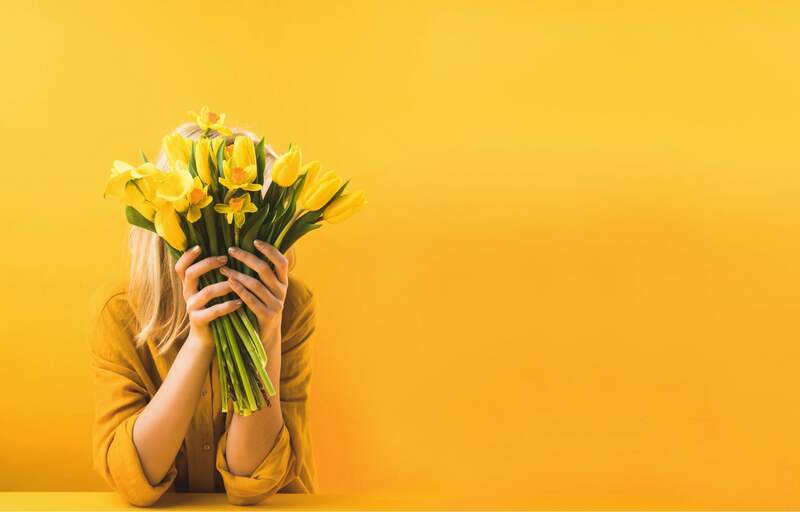 To discover more ideas, tools and experiences for a 360 Spring Clean of your mind and body, take a look at our full curated collection here.